We provide all the accomodation to spend an unforgettable night in the desert, where you can experience its very special silence and charm. You will never be a lot of people at the same time and we can also offer accomodation for bigger group on request and on a private basis. 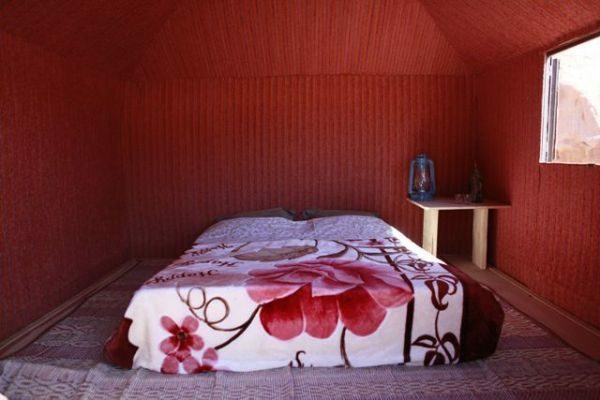 For more privacy and intimacy, we provide PRIVATE LUXURY bedouin tents, 2 and 4 places, you won’t have to sleep in a tent with other people. Our tents are carefully builded with high-quality materials, sur-elevated wood floor and carpets inside, covered with natural goat hair linen. They all have a window for a good ventilation. 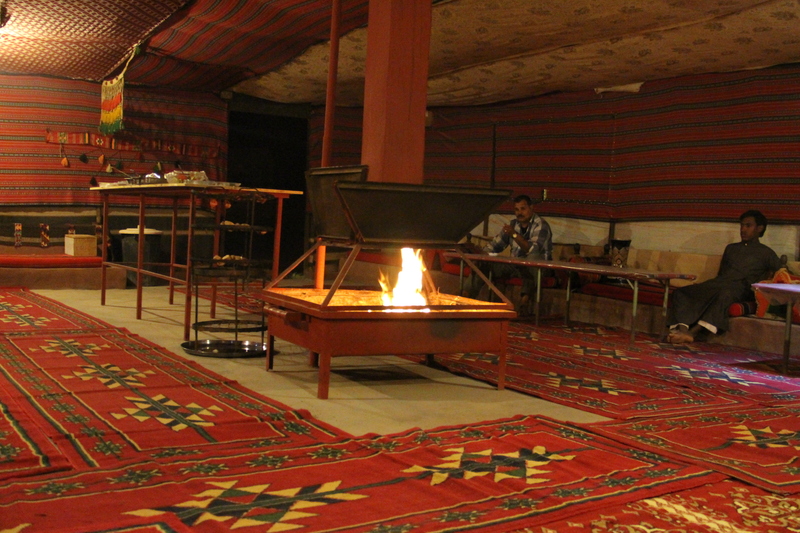 We provide traditional bedouin tents called « Beit Shar », dinner and breakfast, clean cotton sheets, mattresses, blankets, pillows, proper toilet and shower facilities ( please bring your own soap and towel). 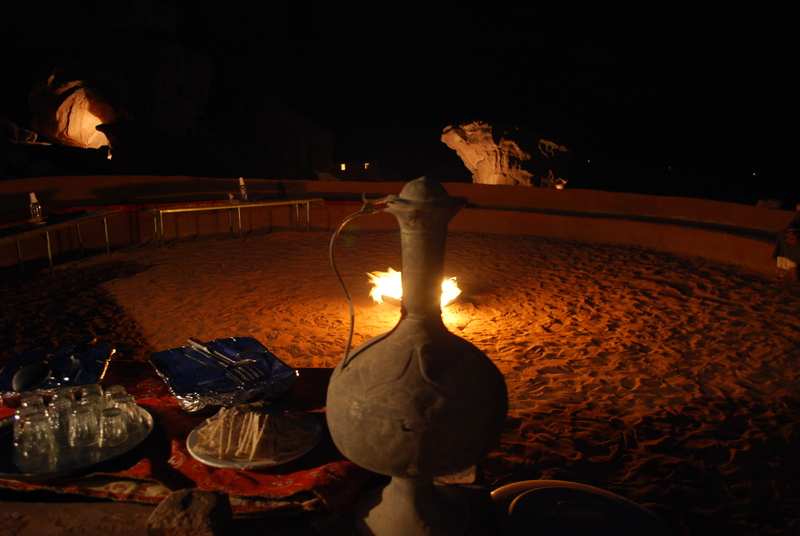 Meals are cooked on the spot by a bedouin cook. Lunch : When the weather is warm, the lunch is cold, composed with a variety of salads and fruits. When the weather is fresh, the lunch is composed with salads and a hot meal. The drinks : We provide mineral water in unlimited quantity, fruit juices and tea. The MAGLOUBA, the bedouin risotto, and the ZARB, ancestral way to cook pieces of meat and vegetables in an oven under the floor, cover by sand. From 4 people and for more than 2 nights, you can ask us for bivouac, and sleep in different places every night. We will provide tents and matresses, and you will have to bring your own sleeping bag. 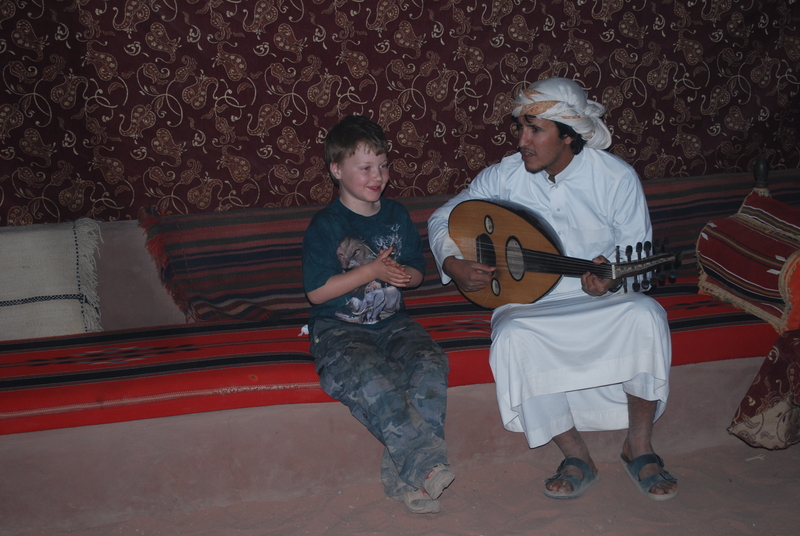 Licenced travel agency based in the village of Wadi Rum desert and run by local bedouins. Taste true nomadic life trekking through spectacular valleys. 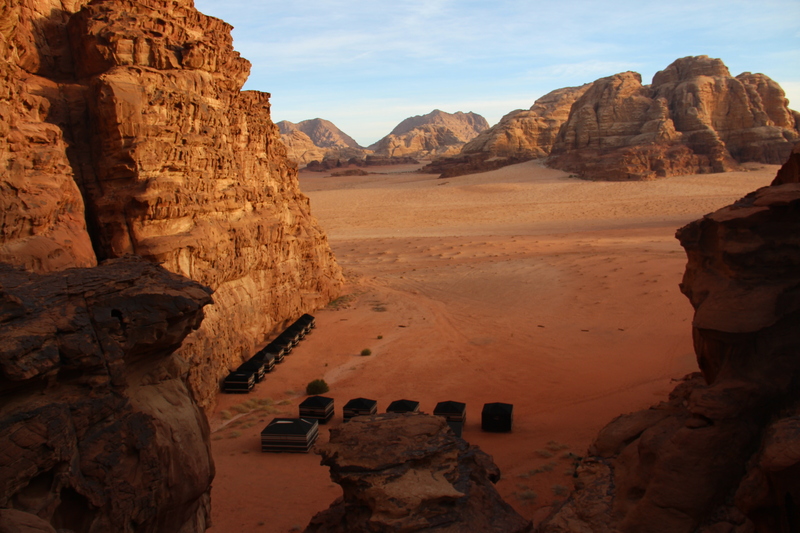 Travel like bedouins, at the natural pace of our Ships of the Desert. Enjoy the desert landscapes on our Arab horses.